The Wild Olive (Olea europaea subsp. africana), related to the commercial Olive tree, is a glossy grey-green evergreen tree with minuscule white flowers. The fruit that follows is popular with a variety of wildlife: monkeys, mongooses, warthogs, and many birds (like Grey Go Away Birds, African Green Pigeons, and Dark-Capped Bulbuls). If you plant this tree in your garden, you’ll certainly be encouraging the biodiversity of the area. The tree will attract pollinators like butterflies and bees too! Being resistant to frost, drought, wind, and fire, Wild Olives are extremely hardy. This makes them good natural breaks and barriers. In some cases, these trees are used to help stabilise eroded landscapes due to their aggressive root system. Farmers also like this tree as it’s considered good fodder for livestock and game. On top of this, the dense wood makes excellent furniture, kitchen utensils, fence posts for farms, pipes, or decorative carved ornaments. 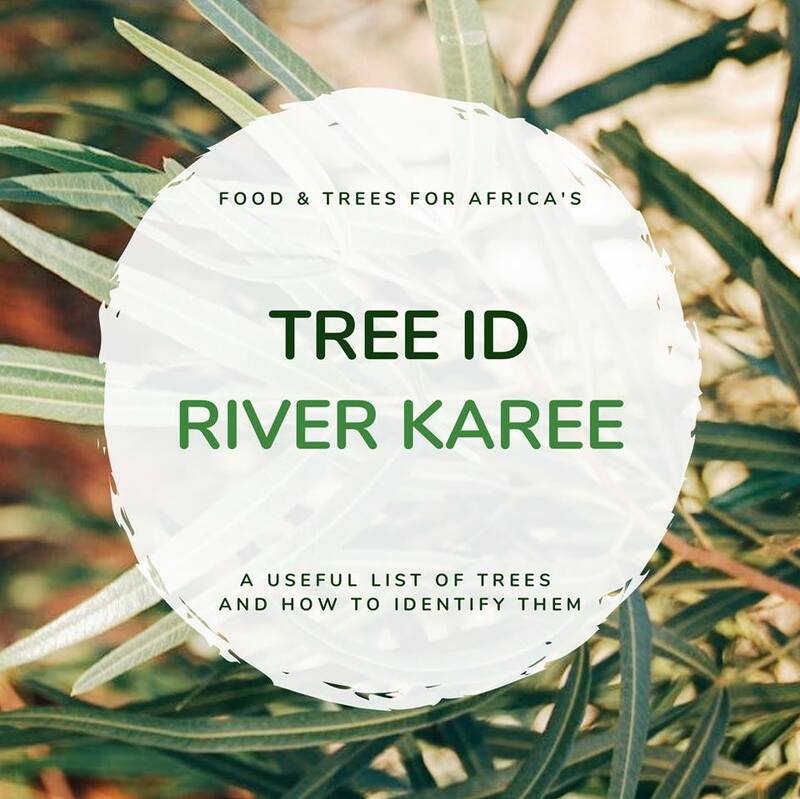 One of our favourite indigenous shade trees to plant is the River Karee (Searsia lancea). ‘Lancea‘ refers to the lance-shaped leaflets. You can identify the olive-green Karee leaves by it’s compound leaf growth in a three-leaflet format. This is also known as trifoliate leaves. The simple definition of a compound leaf is a leaf blade consisting of several parts joined to a single stem. In the wild, you’ll find the River Karee in many habitats, but mostly growing happily in groups alongside streams and on river banks. Back in the city, it is an attractive, highly practical and hardy shade tree for any garden which is why we plant it so often in our #TreesForAll and #TreesForHomes programmes. A fun fact about the Searsia lancea is that it’s part of the mango and wild currant families. Perhaps that’s why the yellowy grape-like fruit is so loved by guineafowl and francolins amongst other birds. 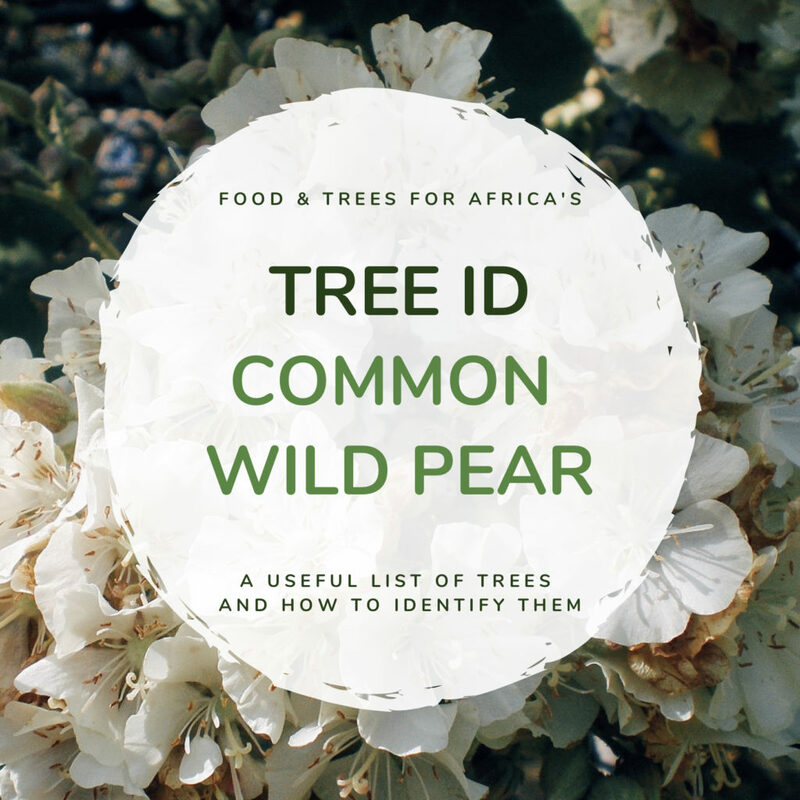 The Common Wild Pear (Dombeya rotundifolia) has striking star-like flowers that appear in late winter and spring, and cover the tree in abundance by early summer. Often cream or a light pinkish-white, the small flowers grow in sprays and will beautify any garden. The flowers have even been used in traditional love potions! It’s an attractive tree that grows well and quickly in good soil, and isn’t easily bothered by drier conditions or light frost. The thick and tough, hardy bark makes it fire-resistant too — and is also why it has been used as mine props or fashioned into a fibrous rope. A fun fact about this tree donates to its scientific name. ‘Rotundifolia‘ refers to the round form of the dark green leaves which are covered in course hairs, giving it a sandpapery feel. It’s also important to note that the Common Wild Pear has no relation to actual pear trees (Pyrus sp. ), it’s only called so due to its resemblance. 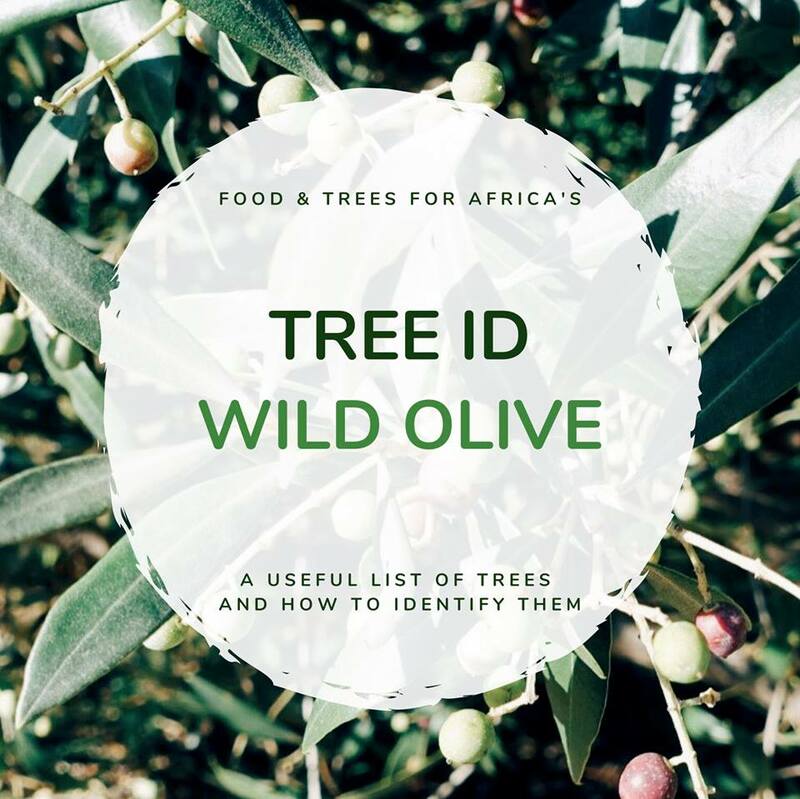 At Food & Trees for Africa, we like planting these trees for all of the above reasons, and because butterflies are attracted to the flowers and butterfly larvae feed off the leaves. The indigenous Fever Tree (Vachellia xanthophloea) is an incredibly striking tree. Growing to approximately 15-25 metres in height, it is a prominent feature in the South African lowveld, and can be found from Kenya all the way down south to KwaZulu-Natal. The characteristic lime-green bark, which is covered in a yellow powdery substance, is ever so flakey and can be described as “luminous”. This is also where the Fever Tree gets its scientific name from: ‘xanthophloea’ is derived from the Greek words ‘xanthos’ meaning yellow and ‘phloios’ meaning bark. Fever Trees have long, straight thorns which makes them popular trees for birds to build nests in as they act as protection against predators. Interestingly, while these white thorns are significant on young trees they often become indistinct on the more mature trees. While in bloom — with sweetly-scented, vivid yellow flowers — the trees attract bees, butterflies, and insects which pollinate them. This attracts insect-eating birds. 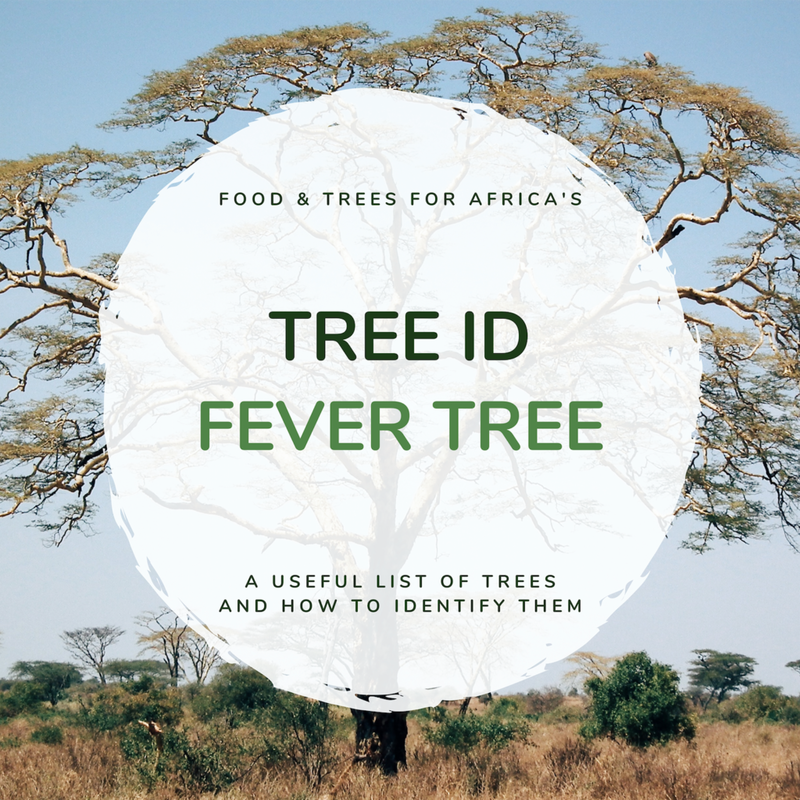 In the wild, Fever Trees attract elephants, giraffes, and vervet monkeys which forage on the sweet leaves, young branches, and nutritious seed pods. In urban spaces, these eye-catching trees are often used to decorate gardens and frame lawns or driveways. The feathery leaves provide dappled shade allowing for smaller plants to grow beneath their tall branches. Even better for other plants, Fever Tree root nodules contain nitrogen-fixing bacteria which are important for soil enrichment. The common name, Fever Tree, arose from early settlers who believed this tree actually caused fevers. Settlers living in areas where Vachellia xanthophloea grew naturally — low-lying, swampy areas (and the ideal breeding grounds for mosquitos) — contracted temperatures and hot-and-cold sweats. Of course, we now know these were Malaria symptoms, yet the Fever Tree myth was born. Fortunately the myth was proved erroneous decades ago and, ironically, the bark is now used medicinally for treating fevers — making the common name apt, despite being named so for the opposite reasons!